Mouldmade in France, this clear, white paper is recommended for screenprinting and, if slightly moistened, for intaglio. 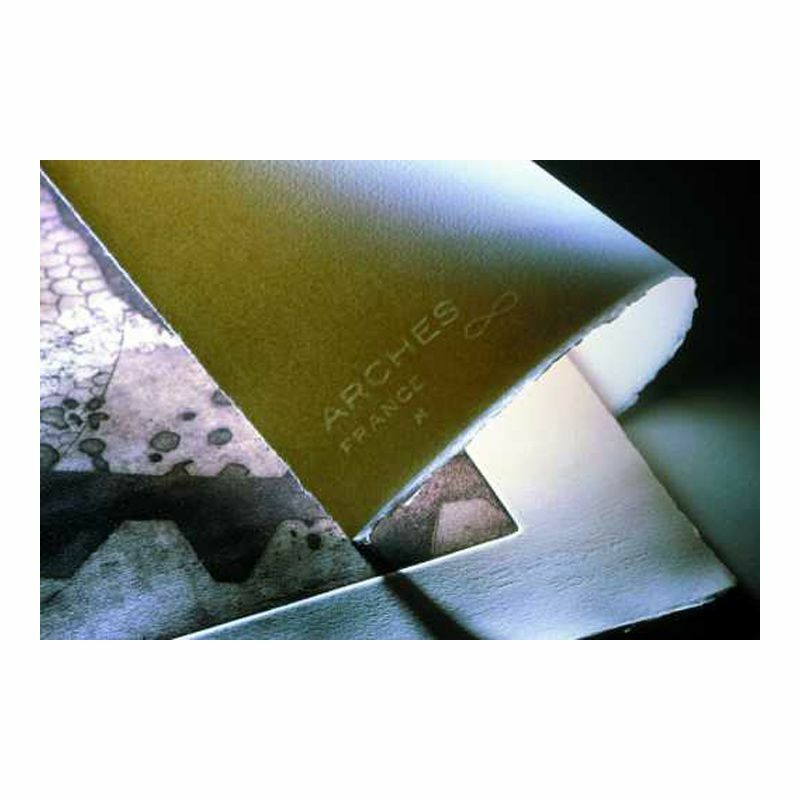 Arches 88 is a heavyweight (140 lb) 100% cotton fiber paper. It's acid-free, neutral pH, and buffered, and is unsized for high absorption. Each sheet is watermarked and has two natural deckle edges. Originally created decades ago for the silkscreen process, Arches 88 has found a following for many different types of printmaking. Ideal for the silkscreen process: it features a very white crisp shade, it is very dimensionally stable, provides a wonderful smooth level surface along with a hefty weight in 300gsm - all the attributes needed and expected from a paper suitable for serigraphy. A silkscreen printer can easily lay down 50 to 100 colours on this sheet without a problem. Because the paper is completely unsized it is not that forgiving so even one ink spot or splatter would be hard to curate out. This deluxe paper must be handled with great sensitivity and purpose.